LANSA let us deliver a solution fast. It took us only six weeks to deliver a fully functional and integrated B2B site. S.S. Kemp & Co. is a quality supplier of foodservice equipment and supplies, and one of the foremost design consultants in the USA. S.S. Kemp has expanded its business with an online shop for the public and B2B services for its customers at www.sskemp.com. The site developed with LANSA Commerce Edition by LANSA business partner CB Software is fully integrated with its Distribusmart solution. Cathy Sexton, Sales Manager at S.S. Kemp & Co., says, "We can now take care of our customers the way that customers want to be taken care of. Customers don't have to be put on hold or wait for a representative to return their call. They have the ability to research our catalogue and place orders at a time that suits them. In essence, the website has made it easier to do business with us." We now take care of our customers the way they want. S.S. Kemp's client base is varied and includes commercial caterers such as restaurants and hotels, but also colleges, universities, hospitals, nursing homes, sports clubs and convenience stores. 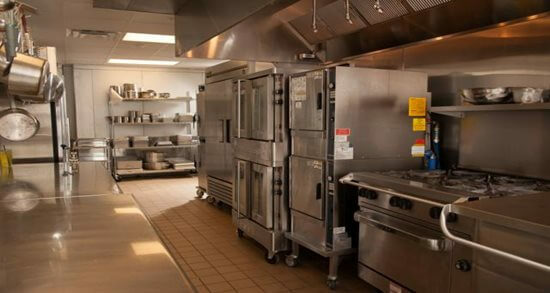 Any organization with a foodservice operation is a potential client. Traditionally S.S. Kemp sent out printed catalogues and flyers, customers would place their orders direct with a sales representative, or through customer service by phone or fax. S.S. Kemp sells well over 30,000 different products that require the expertise of a trained sales force. Customers often had queries or needed assistance to select the right items out of S.S. Kemp's assortment of over 8,000 stocked items. "We didn't want to replace the traditional ways of doing business, but we wanted to offer additional ways to make doing business with us easier," explains Sexton. "We wanted to increase our sales through our existing customer base and be able to attract new customers. We wanted to offer a powerful customer service tool that would allow customers to search for items and find answers to any queries they may have, 24 hours per day. And last but not least we wanted to offer our sales people on the road an easy mechanism for looking up customer information and placing orders." "In order to stay ahead of the competition you have to continuously look at new services and what new technologies can do for your business. We felt that a proper website with real-time integrated information would help our customers save time and money. And it would allow us to free up more time for personalized service when it is really needed." Full integration with the core solution is critical to the success of eBusiness. S.S. Kemp discussed their business requirements with CB Software, the supplier of S.S. Kemp's Distribusmart core business software. CB Software had already selected LANSA Commerce edition and was in the process of implementing its first eBusiness solution for another customer. LANSA Commerce Edition offers customizable pre-built components for B2B and B2C logic, including catalog and product searches, order entry, status inquiry and accounts receivable access. LANSA Commerce Edition has been used to extend a wide variety of core business solutions to the web including JD Edwards, MAPICS, daly.commerce, BPCS, Friedman, Distribusmart and many in-house developed systems. Chad Barr, founder and President of CB Software, says, "We chose LANSA Commerce Edition because of its ability to integrate in real-time with our iSeries Distribusmart solution. Full integration to the core solution, without data duplication, is critical to the success of eBusiness." "LANSA let us deliver a solution fast. It took us only six weeks to deliver a fully functional and integrated B2B site to our first eBusiness customer. Before we found out about LANSA we thought it was going to take us at least six months to develop an eCommerce site." The website does not eliminate a need for a sales person but facilitates customer research and simplifies the order process for stocked merchandise. The site offers an online shop to the public and the password protected B2B site allows customers and sales staff to search catalogues, enter orders, check order status, convert open quotes to orders, set up item preferences, repeat orders and view order history. Customers can access Accounts Receivable information and sales staff can inquire into their customers. Personal order guides keep a history of what has been ordered. This helps customers to replenish items such as plates in exactly the same colors and patterns as they had before, whether they were standard colors and patterns or customized logo items. And corporate offices can set up fixed order guides so individual restaurants can only order products that are approved by the corporate office. We delivered a fully functional and integrated B2B site in only six weeks. Kenneth Sinchak, Chief Financial Officer at S.S. Kemp & Co. says, "We have better penetration in our customer base because it is easier to do business with us. You don't have to pick up the phone and you don't have to wait for a sales person. Customers have the opportunity to research on their own through our catalogue and link to manufacturer sites to get the information they need. We are competitively priced and easy to do business with, therefore sales has increased." "The site has also streamlined our internal procedures and provides an efficient mechanism for us to satisfy the customer. If the customer knows what they want, they can place the order themselves and the items are immediately and automatically shipped. The procedures are very efficient with very little human intervention. That efficiency is a real big benefit." "And the efficiency is not only in the sales and order cycle. Customers can see their accounts receivables, including a transaction history and an overview of open invoices. The online availability of this AR information minimizes the number of inquiry calls to our accounting department and saves time on both sides." "Everything that the customer sees on the site is live, real-time information," explains Sinchak. "When customers view their account and get on the phone to us, we see the exact same information. There is no data replication and we don't have synchronization issues." "And when we add new items or update item information, the web catalogue is instantly up-to-date," adds Sexton. "There is no need for IT assistance and there is no need to upload information to the site. We just update our own business files, add pictures, and that takes care of everything." Sales have increased and the site has streamlined our internal procedures. Mark Fishman, President of SS Kemp & Co., says, "We did not set out to be the Amazon.com of restaurant equipment. Our site was designed to be as functional and informational as possible for our existing customer base. Integration with our host system was imperative. Now the Internet will join the telephone, fax, and e-mail as a vehicle for our customers to interact with us." "Potential customers are impressed with the customer service and efficiency that we offer," adds Sexton. "This in itself provides a good tool to our sales staff to get new customers on board." "The site has also created opportunities coast to coast, that we would not have if we had limited ourselves to do business in the traditional manner. The site started to generate orders and sales leads right away and within days of going live, people found us on the web, used the site as a research tool and joined us as regular customers." Barr concludes, "Customers can be eBusiness ready within weeks with LANSA Commerce Edition. LANSA complements Distribusmart and gives our clients great technologies and peace of mind. The real business benefit is to have a scalable and secure solution, that keeps your business ticking 24 hours-a-day, 7 days-a-week, worry free." S.S. Kemp & Co., founded in 1926 and headquartered in Cleveland, Ohio is a specialist in supplies, equipment and design for the food industry with a 20,000 square foot cash-and-carry showroom. S. S. Kemp's business divisions include Supplies & Equipment, Interior & Kitchen Design and Espresso Equipment Sales & Service. CB Software, a LANSA Business partner located in Shaker Heights, Ohio, offers technology Integration, software, security & web development for the distribution industry. CB Software's Distribusmart is an integrated software system for distributors, manufacturers & resellers.